Indian Air Force - IAF published an official notification for Recruitment of Airmen Bharti Rally. Eligible candidates can apply for this recruitment. You can view more details about this recruitment including No. of posts, name of post, Educational qualification, Age limit, Selection process, How to apply etc... You can also view official notification and other important facts about this recruitment e.g. Important links and Important dates. 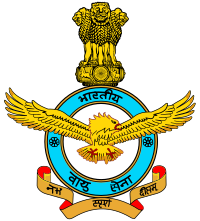 Airman Group X (Technical): Passed Intermediate / 10+2 / Equivalent examination with Mathematics, Physics and English with minimum 50% marks in aggregate and 50% marks in English. OR Passed Three years Diploma Course in the following streams from a Government recognized Polytechnic Institute with 50% marks in aggregate, and 50% marks in English in Diploma or in Intermediate/Matriculation, if English is not a subject in Diploma Course. Mechanical Stream: Mechanical Engineering, Mechanical Engineering (Design & Drafting), Mechanical Engineering (Foundry Technology), Mechanical Engineering (Machine Tool Maintenance and repairs), Mechanical Engineering (Refrigeration & Air Conditioning), Mechanical Engineering (Tool & Die), Mechanical Engineering (Production), Mechanical Engineering (Fabrication Tech), Mechanical Engineering (CAD/CAM Design & Robotics), Mechanical (Advance Manufacturing Technology), Manufacturing Engineering/Technology, Production Engineering, Automobile Engineering, Advanced Diploma in Refrigeration & Air Conditioning, Mechanics. Final selection will be based on Written Exam, Physical Fitness Tests, Physical Measurements Tests. Venue: Rajiv Gandhi Government Polytechnic, Itanagar, Arunachal Pradesh.